The best way an individual can plan for their future is to understand what services are available in the marketplace and how to leverage these resources. 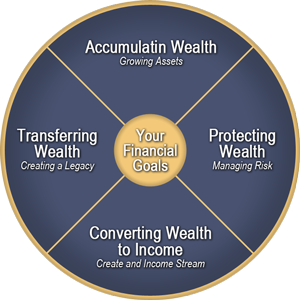 We offer insight to our clients that explain the importance of having an investments and savings strategy to attain long-term financial security. We will work to develop a comprehensive plan that is based on asset accumulation and preservation based on proven investment strategies.